A bit west of Portland. It doesn't look native to me, and we didn't plant it. This is the first year it flowered, so I decided to see if I can get it identified. If it matters, the flowers are aromatic. 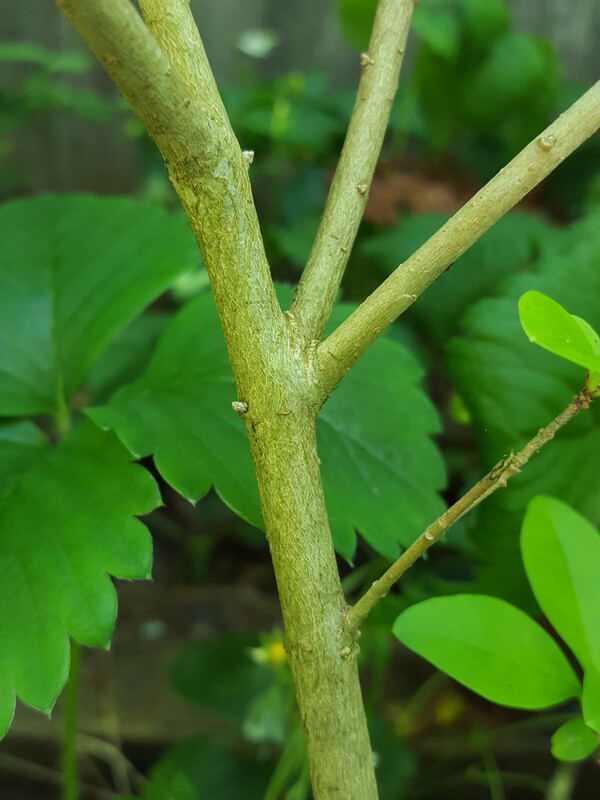 This is a Privet (Genus Ligustrum). 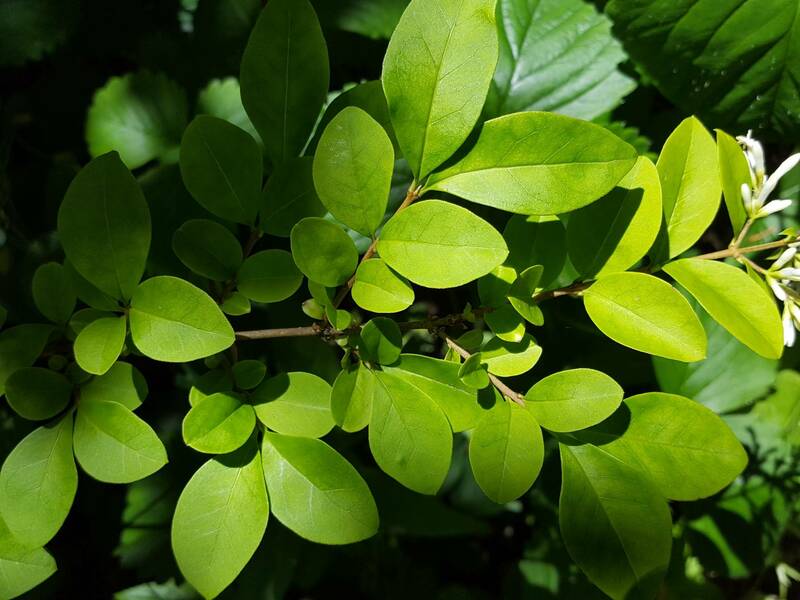 It appears to be Ligustrum vulgare which is known as Common Privet, or sometimes European Privet. 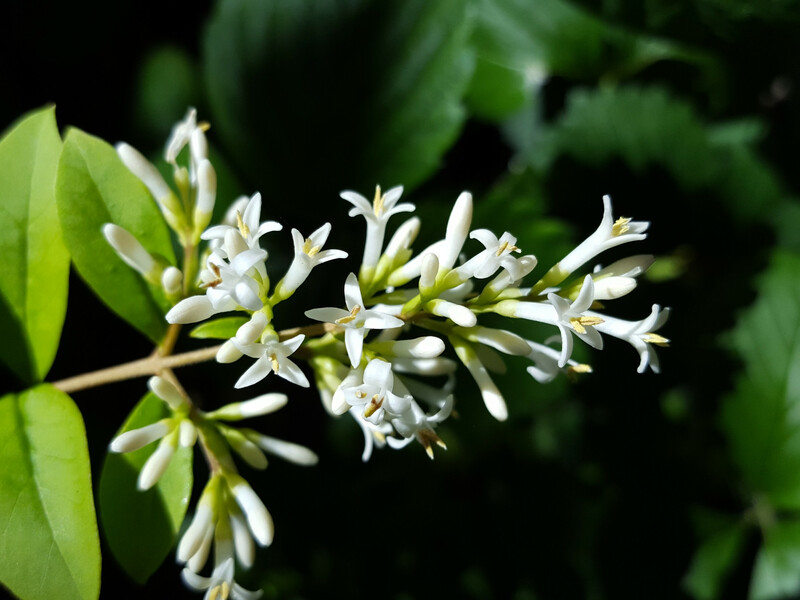 It is a common woodland understorey shrub in Europe, often planted as garden hedging in urban areas as it is semi-deciduous and responds well to repeated pruning. You could never really call it a tree, it is a shrub species. The white flowers as you say are quite fragrant and pleasant. 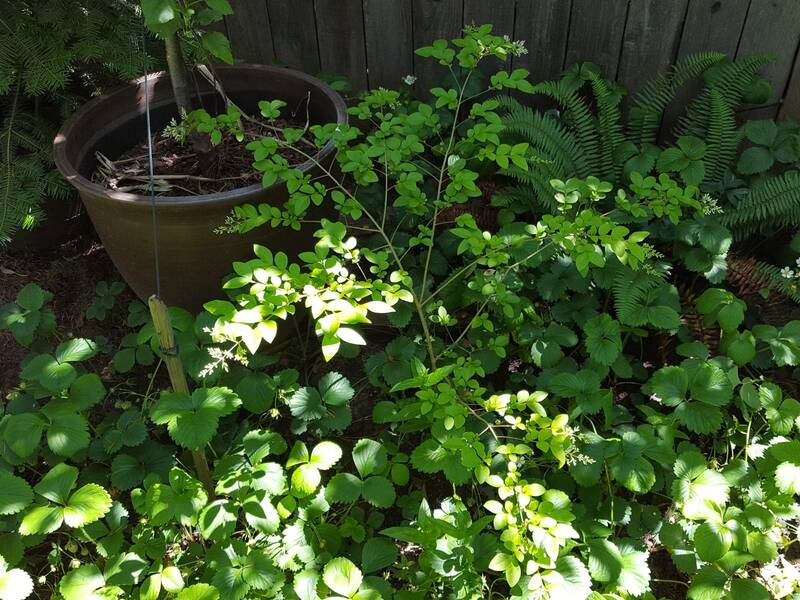 They develop into shiny black/dark purple berries. Not the answer you're looking for? Browse other questions tagged species-identification trees or ask your own question.